This is a hand signed original lithograph by Patrick McDonnell titled “Another Perfect Day”. This is a hand signed original lithograph by Patrick McDonnell titled “Head Over Heels”. 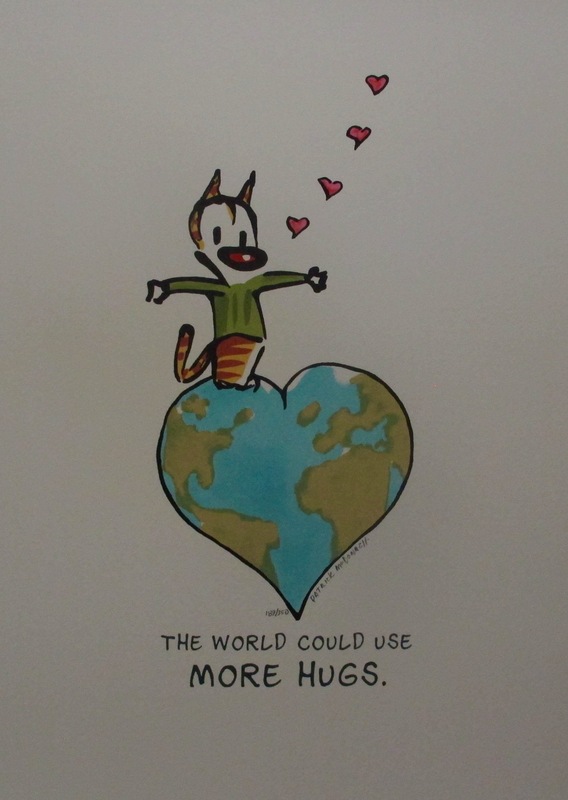 This is a hand signed original lithograph by Patrick McDonnell titled “More Hugs”. 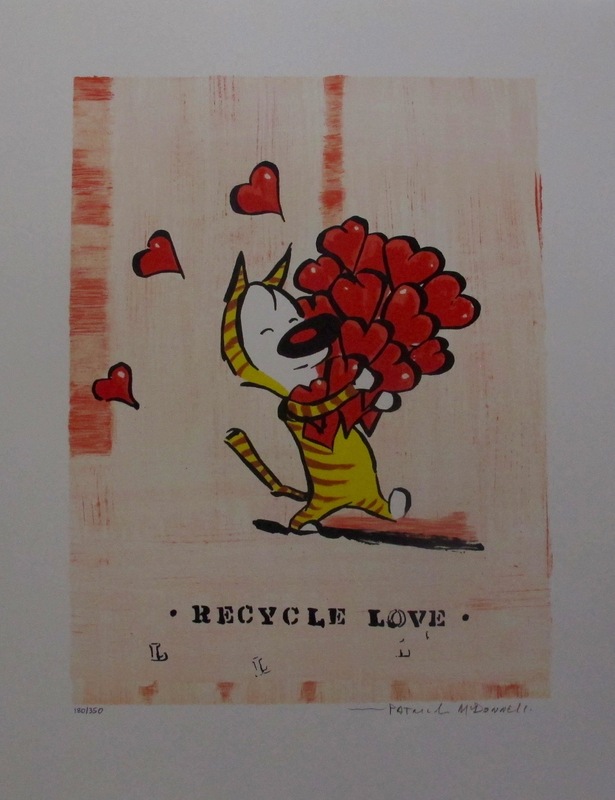 This is a hand signed original lithograph by Patrick McDonnell titled “Recycle Love”. 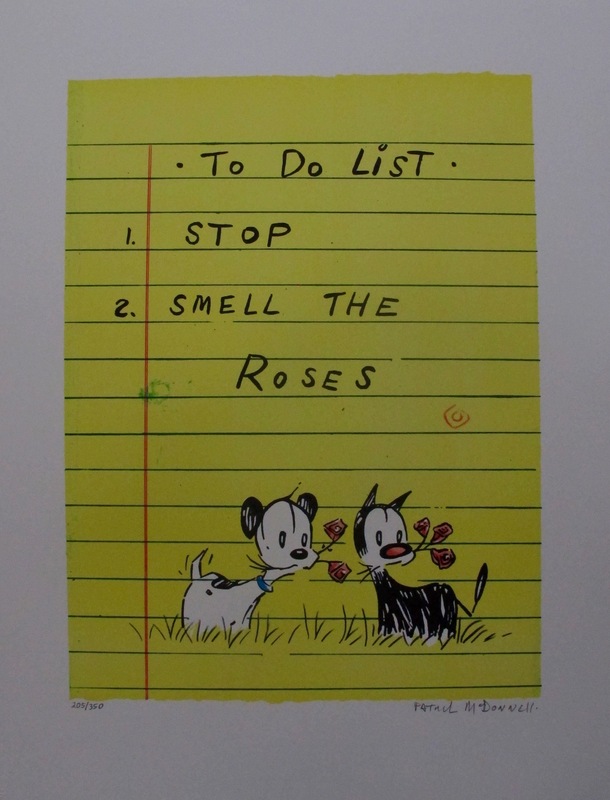 This is a hand signed original lithograph by Patrick McDonnell titled “To Do List”.